2014 Profile, SPOT FREE BLANKET! Each of Talon's first offspring took either a first place, Blue Ribbon and/or a Color Championship, to include September, 2010 at the Big E Alpaca Show. 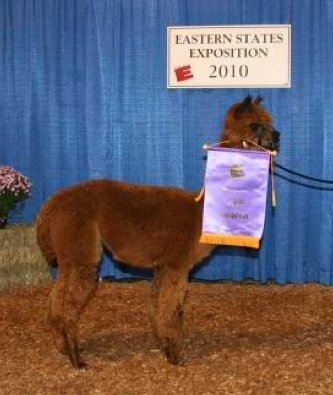 Lunette, (Seven alpaca in her class) took a first-place blue ribbon, and even more outstanding, a color champion banner for all browns with over twenty alpaca in total. Once again, Lunette took the blue in the "Bred and Owned" class, showing in a class of fifteen -up against the best of the best, including white blue ribbon winners! Very, very impressive for a brown! Talon's Purl, another offspring from 2009, took a blue, first place win, in her class of grey yearlings. Kudo's to Talon-with award-winning fiber that is just outstanding - which we know now, he passes along to his offspring! It's incredibly dense, with amazing character and high-frequency, tight, even crimp (from skin to his tips), fineness and luster! Add to that an absolutely even in color, spot-free blanket. Talon is the picture-perfect grey. Talon, at the Alpaca Festival of Oregon, 2010, took the Reserve Color Championship for his fleece, with 16 alpaca in the competition, ten juvi's and yearlings included. Talon was the oldest with the exception of one competitor. Impressive for five years of age! Show results found here. Amanda VandenBosch judging, gave him a 19 out of a 20 point score for fineness and handle, commenting "good evenness on fleece!" An amazing win = amazing fleece = amazing herd sire! At another competition, Judge Wade Gease placed him third and added that the three top placing males all were quite even (First place winner was A.L Paca's Revolution) and that he actually preferred Talon's fleece. Talon placed third due to his adult teeth coming in, and Judge Gease said that with males so close he had to start to look for things in order to place them. Judge after judge comment on his build, and very even crimpy fleece! 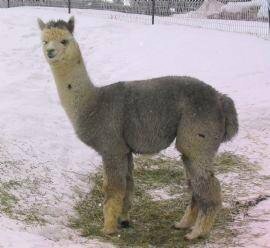 With Colorado genetics, and 12 grey's in his ARI, he's will likely add some great quality to your grey or colored breeding program! 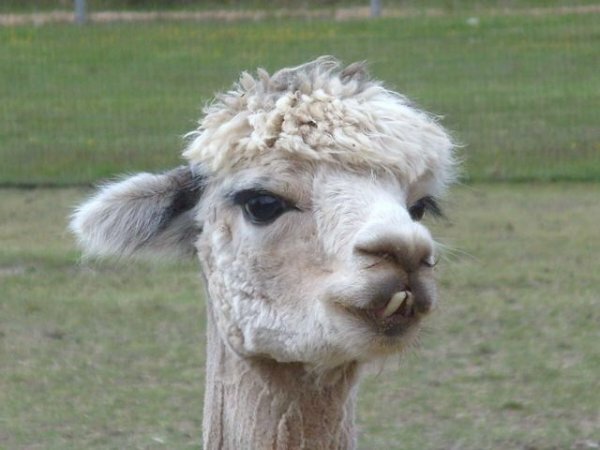 Talon has one of the nicest personalities of an adult male alpaca. He's a true public relations Champ, very social with the staff, and many of our visitors. Talon won first for his fleece at the Green Mountain Fall Spectacular of 2012! Judge commented, "Exhibiting good fineness, handle and character. Excellent!" We are currently continuing to offer a low introductory breeding fee. Meet this future "Get-of-Sire" Winner! 2013 Empire Alpaca Extravaganza Fleece Show: Judge Ursula Munro commented, "Good uniformity of color." 2013 Green Mountain Fall Spectacular Alpaca Fleece Show: Judge Cheryl Gehly commented, "Fine fleece for mature age - nice!" Talon scored 5/5 for color and 6.5/7 for length. 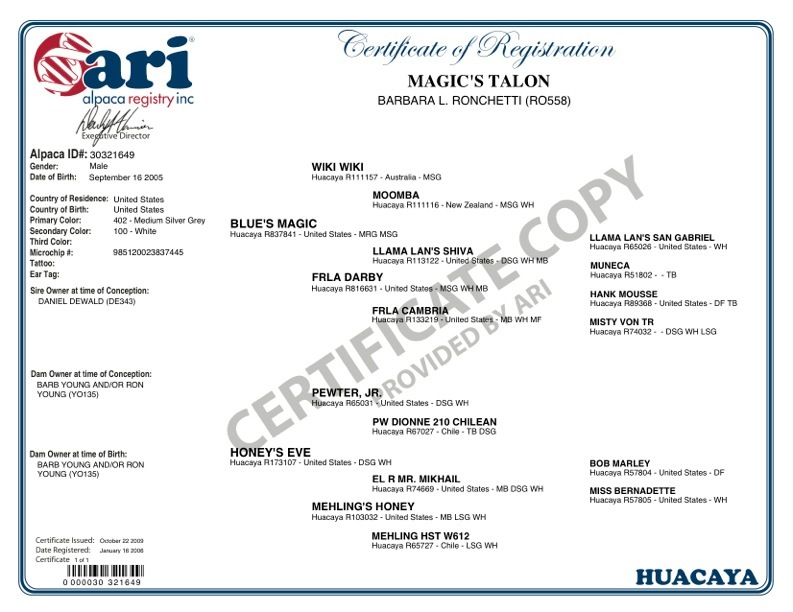 Talon will be sold with retained breedings. For more information or photos please email us at info@islandalpaca.com. Evie is a third generation grey on both dam and sire's sides. A strong and healthy dam, an attentive mom, and carries herself with pride. 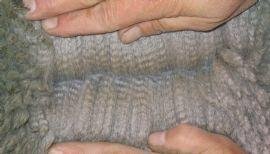 She has evenly colored grey fiber with soft handle and nice density; her fleece has taken three awards. Bred to grey or black, she's produced three grey and one black crias. 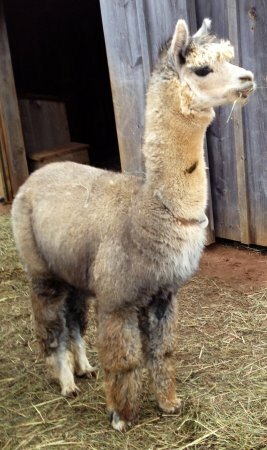 When bred to a white, she's produced a light brown cria. Blue's Magic has two, 2003 and 2004, Color Champion Awards. Magic is a herd sire with correct conformation and excellent presence and attitude. He is extremely dense fibered and strong boned. He has consistent proud crimp and fineness in his fleece, along with complete coverage down to his toes. 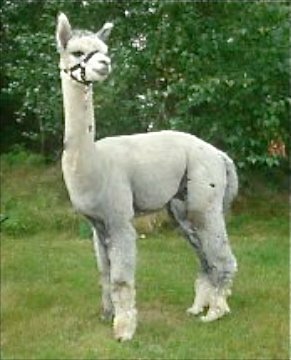 He is the offspring of Multi Blue Ribbon Winner Wiki Wiki and silver-grey dam, Darby who has won two Blue Ribbons for her fleece. Quality grey herd sires are hard to find, and Magic has been a top producer. He has Grey and Black in his background on both sides, and an added bonus is his positive personality. 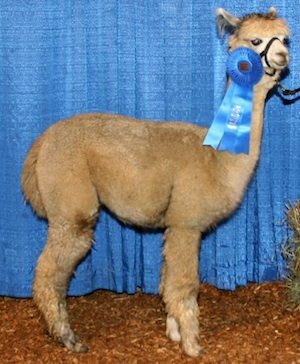 Magic has some outstanding cria's on the ground, bringing home ribbons!